Millie's new book whisks you away to the swaying grasslands of the savannahs, not only in Africa, but also Asia and Australia. The haunting acacia trees and tall grasses are the backdrop to a world of wonderful creatures. Colour in kudu and kangaroo, buffalo and beetles, dazzling zebras and leaping leopards. A feast of beautiful illustration, invitingly laid out for the reader to colour in or add their own drawing. 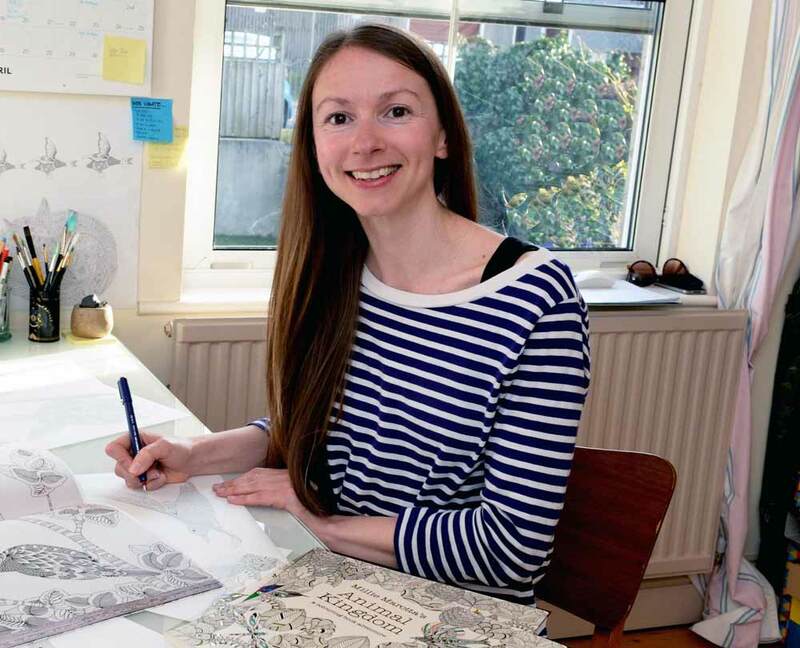 Millie's work has fuelled the rediscovered art of colouring in and her latest book will satisfy her biggest fans, and gain her some more. A wonderful book for those thousands of devotees of mindful colouring in. Millie Marotta has once again produced a wonderful, intriguing adult coloring book for people who love detail and more detail. The pictures are amazing, and I just can't wait to start putting pencil to paper to add my own personal touch to them all. I would recommend this book to all coloring enthusiasts out there.